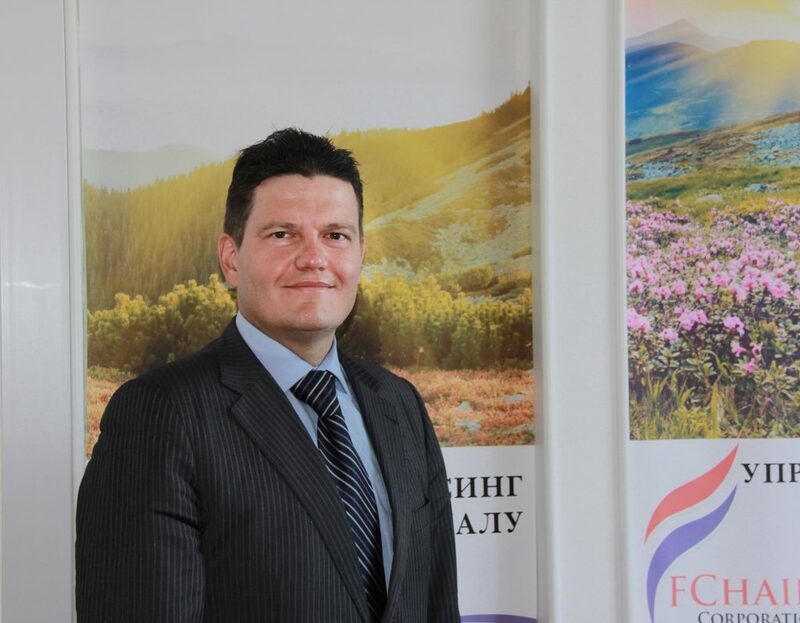 On May 16, 2018, by the decree of General Director Namig Gadirov, Maxim Naumenko was appointed the Country Manager of the Ukrainian branch. Good afternoon Maxim, congratulations on your appointment! Thank you very much for the compliments, I’m glad to be in such a professional and friendly team. I easily joined the team, the staff explained peculiarities of the internal and external business processes, customers communication style, rules and principles of the company. I was pleasantly surprised that the staff is willing to share information and to devote all their time to the newcomer to quickly familiarize him with the business. Working as FChain company’s Country Manager, I every day deal with many issues pertaining to completely different areas of the company’s operations. This requires high concentration of attention, a clear work plan and extensive knowledge in various industries. The key to my success is careful attention to my duties, constant perfection of my skills, effective interaction with the team and open cooperation with clients. How long did it take you to think about the offer and what convinced you to accept this position? When I was offered to work in FChain company, of course, I took a small pause to reflect on all the points. It was quite ambitious tasks of the position that persuaded me to accept the offer. Working in FChain company is a challenge, it means thinking outside the box and constantly develop! Self-improvement is the only option here which is a big plus for us as professionals because we increase our professional value as well. Our team includes like-minded colleagues who do not like to do routine and non-creative job with similar tasks. How do you see your exact role in the company? Accounting and legal support are the areas where professionalism and accuracy are valued especially high. My task as a manager is not just to optimize business processes, prepared and implement development strategy, but to make sure that our clients’ businesses work with optimal tax burden, do not infringe legislation, have minimal legal and administrative risks and strong support and confidence in positive results of any possible legal disputes. FChain is a strong brand on the accounting and legal services market, one of the industry leaders. The company offers a wide range of outsourcing services: financial and tax accounting, HR administration, payroll calculation, 1C implementation at an enterprise, legal support to business, company registration and others. The company’s clients are small and medium businesses which understand outsourcing benefits and are aimed at a reasonable cost optimization. The company is renowned for its professional and results-oriented approach to performing any non-standard task. Every new achievement strengthens the company’s reputation as a reliable partner and contributes to expansion of clientele. Therefore, a need to expand personnel arises and that is why I became part of this team. Maxim, thank you for your answers. I wish you, as the new employee of the company, successful achievement of your goals, intensive and interesting work and, of course, professional growth.